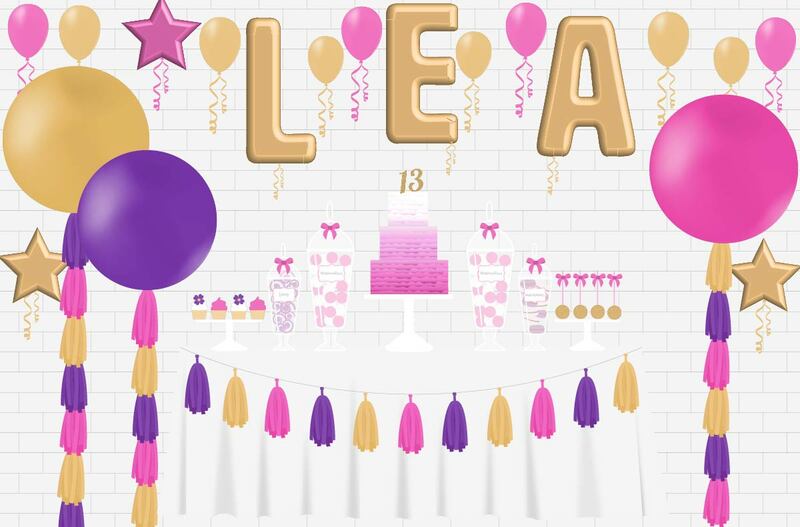 Balloon letters, spell it with balloons giant foil balloon letters, name or age. X2 Light up Balloon clouds/pom poms topiary with mini balloon base. X7 Light up table top balloon bouquets with mini balloon base. X1 Balloon arch with XL Foil name/numbers. X2 Giant solid colour balloons. Giant balloons are a perfect backdrop for an Antonia’s candy buffet. See our candy buffet gallery for more information. 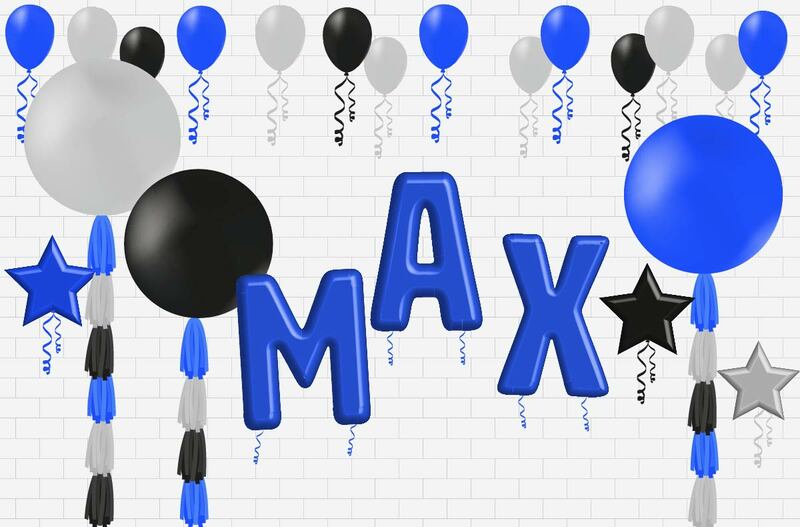 For additional balloon bouquets & balloon letters /numbers see our balloon chart for more information. X3 Giant round 3ft balloons with matching handmade tassel tails. x20 Ceiling balloons with hanging curling ribbons. Add sparkle to your ceiling with light up flashing led balloons, wow your guests with a magical twinkling effect. See our balloon chart. These balloons make the perfect setting for an Antonia's Candy buffet, view our candy buffet gallery. 3 Tier cake to your chosen bespoke design personalised to match your theme/age name. See our celebration cake gallery. X2 Stands of personalised bespoke cupcakes and cake pops View our cupcake gallery. collected for an additional fee) within 48hours. Table hire, cake, candy and balloon set up included. Balloon Support structure cake stands/jars, prop hire etc are to be returned (or collected for an additional fee) within 48hours. These balloons make the perfect setting for an Antonia’s Candy buffet, view our candy buffet gallery.